Class of 2014 Expects to Find Entry Level Jobs in Their Career Fields, but Will They? As the class of 2014 prepares to graduate, most of them believe they will find entry level jobs within their career fields. However, is this a realistic expectation for these soon to be college graduates? The following post has more information. Graduates, she says, may be buoyed by improved jobs numbers recently, but they still face some uncertainties. Upcoming graduates are placing stock in job training because they intend to stay longer in their entry-level jobs. 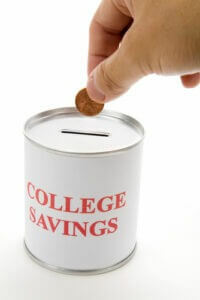 Putting money into college savings. Photo courtesy of Shutterstock. Crisis in Colleges: Where Are the Students? How Will Colleges Adapt to New Populations? American higher education is grappling with issues that will significantly alter its landscape. And some postsecondary leaders, confounded by these changes, have wondered how they should adapt. While the current era of postsecondary education reflects a significant moment in our nation’s history, it is important to remember that this is not the first–not even the second or the third–time that our colleges and universities have had to adapt to new populations. Throughout the 20th century, seminal legislative efforts–GI Bill of 1944, Civil Rights Act of 1965, and Higher Education Act of 1965–helped to make higher education accessible and affordable for millions more Americans, and in turn, changed the face of the nation’s college campuses. 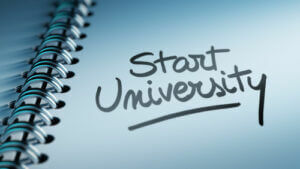 colleges or universities, the U.S. Bureau of Labor Statistics reported today. such as full- and part-time enrollment status.